UK Defence Secretary Gavin Williamson is alleged to have boasted about his plans to launch a campaign to succeed Theresa May, The Sunday Times reported. The purported plot was uncovered after a witness sitting at a nearby table in the restaurant claimed to have overheard a conversation between Williamson and his friends as they dined in the Beaumont hotel on 18 December — less than a week after the prime minister survived a vote of no confidence. Williamson allegedly revealed his intentions to sabotage his rivals Home Secretary Sajid Javid and Foreign Secretary Jeremy Hunt, saying: "I can take down Saj and Jeremy". The diner also claimed that Williamson said he was the only candidate who was capable of delivering the support of the Democratic Unionist Party (DUP), which backs May's minority government with a confidence-and-supply arrangement. "I have the DUP eating out of my hand", Williamson is alleged to have told his friends. The discussion was ostensibly reported back to a senior figure within the Conservative Party. 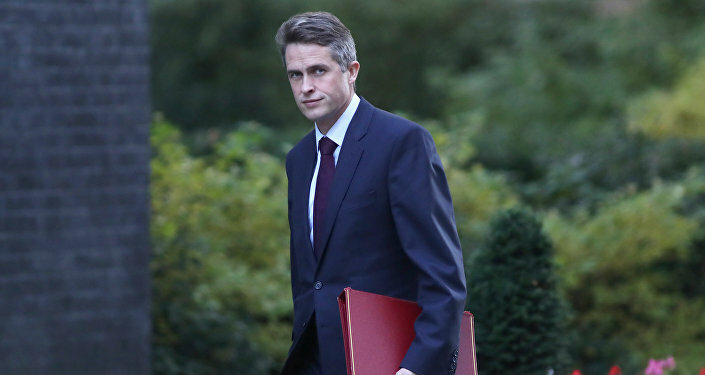 A source close to Williamson dismissed the claims as "mischief-making-tittle-tattle", adding that the defence secretary had "zero leadership ambition" and wanted to retain his position for at least two years to implement the defence modernisation programme, The Sunday Times wrote. This is not the first time that media have reported Williamson's alleged plans to dethrone May. In June 2018, the Daily Mail cited sources as saying that Williamson threatened to topple May unless he gets extra funding for the armed forces. Theresa May has faced much backlash both within the Tory party and beyond over the Brexit deal she agreed to with the European Union. After she announced she was postponing a parliamentary vote on the deal to ask her EU colleagues to provide further reassurances on the Northern Irish border backstop, Conservative lawmakers triggered a vote of no confidence in her leadership. May successfully fought off the vote on 12 December as the MPs backer her 200-117.